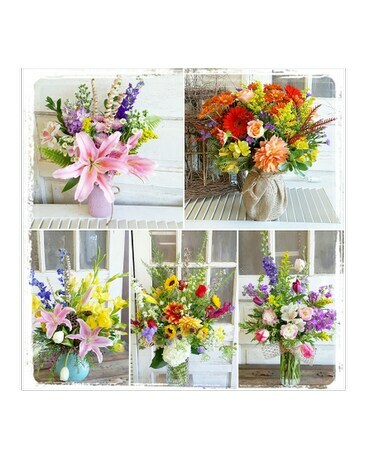 Large Vase Mix in Greensboro NC - Sedgefield Florist & Gifts, Inc.
A beautiful, colorful mix of fresh flowers designed in a vase. The minimum size of most large vase arrangements is 10"x12". This size will vary based on the flowers and design style. If there is a specific flower, color, and/or style preferred, please let us know that in the "special instructions" upon checkout. We will accomodate all requests that we can, keeping in mind that we will be restricted at times.